Our VAC Rod Bearing Sets are specially coated to reduce friction to a minimum; enabling lower temps and faster revolutions in your expensive S14 engine. 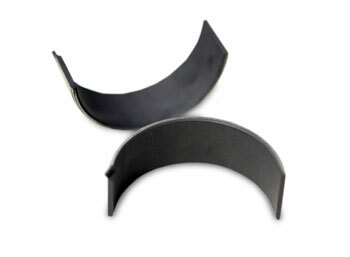 The coated bearings are thermal breakdown resistant, helping to prevent premature engine failures under stress when things are most critical. The rod bearing area is a common stress area in the S14, these bearings can last much longer than any normal bearing sets and are used in all our highest performance BMW engine builds. Made for us by the same company who manufactures for the US military, NASCAR teams, and other customers that require "mission critical" quality. If you are looking for high performance rod bearings, this is the set for your S14. From gord bush performance of Toronto, Ontario on 2/7/2016 .